In Italy's historic cities, traditional shopkeepers and craftsmen are struggling to preserve the nation's heritage from the invasion of what they call "trash stores" selling fast food, alcohol and souvenir trinkets, from key chains to midget Pinocchios, fridge magnets and tacky T-shirts. 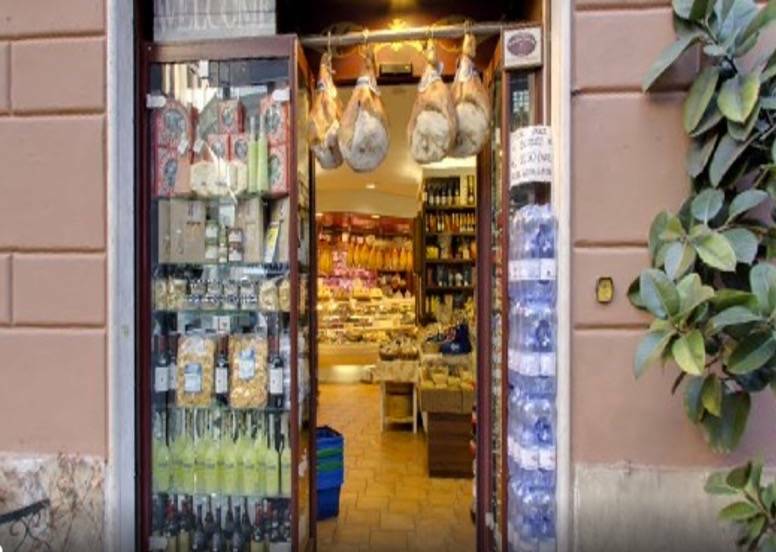 After taking on board that 260 such commercial outlets were already functioning in historic downtown Florence last year, Mayor Dario Nardella launched Italy's first successful campaign to block those wannabe stores which fail to meet newly minted city standards. Mayor Nardella's objective was to halt the further reduction of Florence's traditional workshops for art restoration and craft shops making and selling fine ceramics, fabrics, embroideries, hand-made leather goods and foodstuffs. The flood, especially of mini-markets open around the clock, has been on the rise for years even though, said Nardella, some of their activities are of dubious legality because they sell alcohol to underage youths and make underpaid employees work overly long hours. "We simply cannot tolerate one of these opening every month," Nardella told L'Espresso magazine last year. "Instead of selling bread or fruit or vegetables, many of these sell almost exclusively alcoholic beverages that risk the health of our young people. We simply had to prohibit the transformation of our downtown neighborhoods of traditional commerce and historical shops into that kind of store." 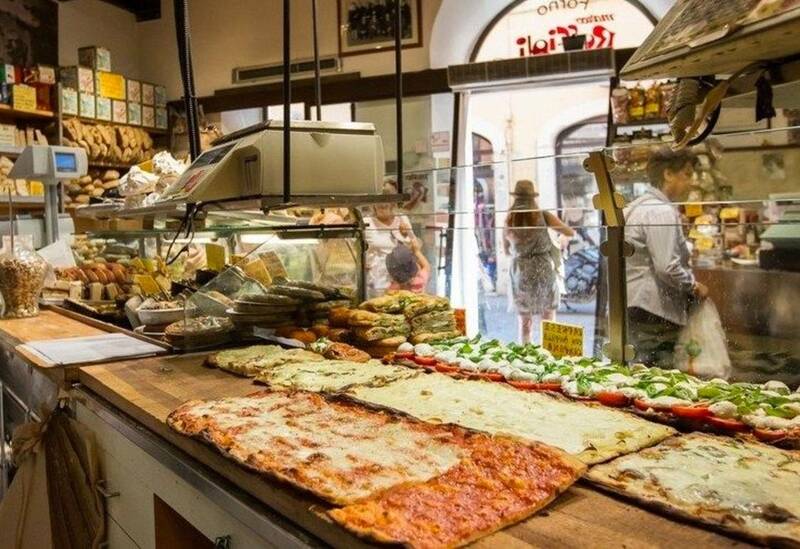 As a result of his year-long campaign, this June Florence became the first city in Italy to succeed in imposing such restrictions as the prohibition of selling takeout alcoholic beverages between the hours of 9 pm and 6 am. The new law also allows the city fathers to intervene for the first time when and if a proposed store would violate urban building codes. "Enough of the little stores that sell rubbish," Nardella exulted. "We are taking back our historic centers. Now mayors everywhere in Italy can finally promote their historic botteghe and at the same time prohibit the kind of commercial acitivities that are incompatible with our cultural heritage." Florence also called upon the national government to approve a measure that allows other cities to follow its example. Among the first to respond is Rome, where Giulio Anticoli called this week upon the city fathers to create a "red zone against the trash shops." Anticoli is president of the new association, Roma produttiva (Productive Rome), which already has 350 members representing individual historic craft shops. 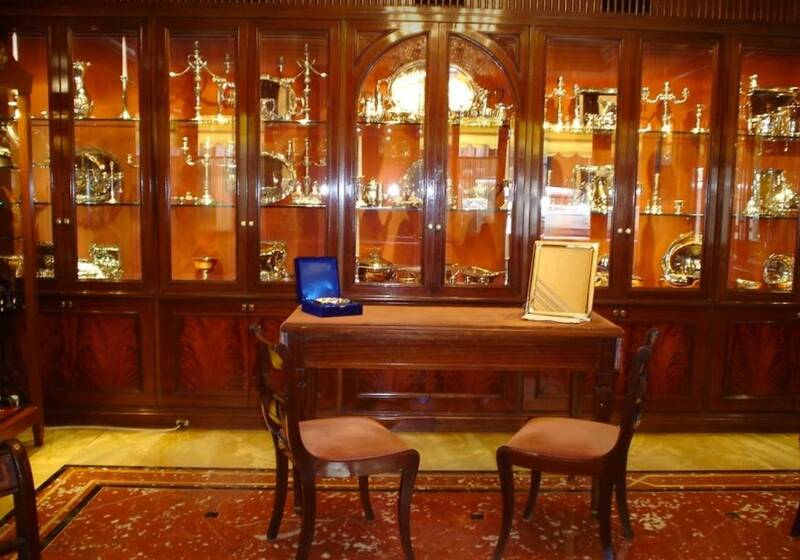 "Our association represents excellence in commerce and craftsmanship," said Anticoli. "We are the ones that have managed to survive despite soaring rents and the invasion of hundreds of cheap sales points within the historic downtown area of Rome. Just as in Florence, we are asking that in the historic center the UNESCO convention that establishes that the center of Rome is a heritage of mankind, and recognizes that the commerical and craft tradition is a cultural and immaterial heritage that warrants preservation." 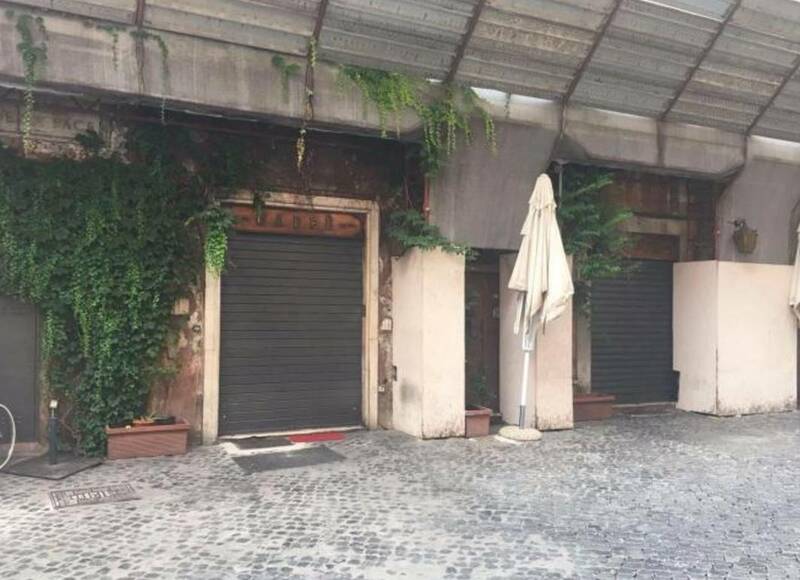 Illustrating the problem is the closing of the historic, ivy festooned Cafè della Pace, just off the Piazza Navona. 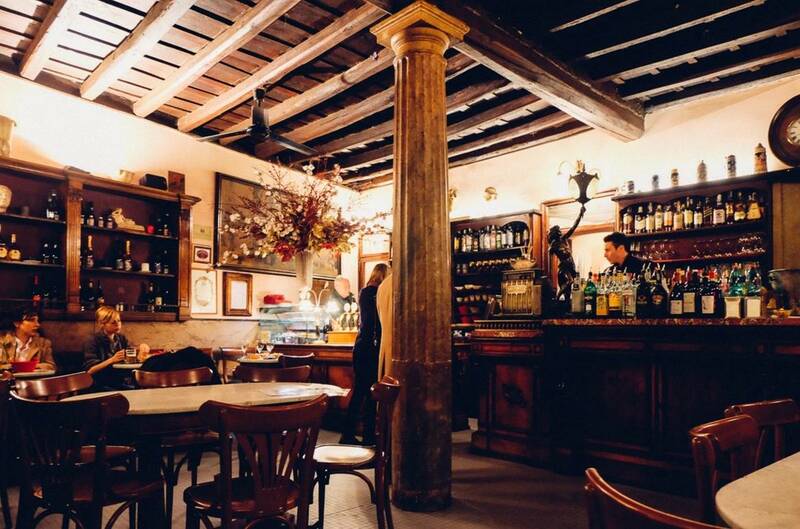 This cafe, officially the Antico Caffè Della Pace, was opened in 1891, and was run by the same Serafini family for more than 50 years, but recently lost a long legal battle against eviction. The cafe was a longtime favorite of the late director Federico Fellini, of the poet Giuseppe Ungheretti and of the American beat poet Gregory Corso, who is buried in the non-Catholic cemetery in Rome. Other customers were Sophia Loren, Madonna and Woody Allen, who shot a film scene there. But the building owners, the Pontifical Teutonic Institute of Santa Maria dell'Anima, reportedly demanded the eviction, despite the Serfani family's offer to pay more rent. The space is expected to be sold for conversion into a hotel, whose new owners would restore the entire building. A petition circulated to block the eviction was signed by 50,000. Such was the outcry that the then Italian President Giorgio Napolitano was drawn into the fight to protect the cafe in February 2014. That battle was lost, even though visitors still call the cafe "a gem in a romantic part of Rome, our favorite cafe, unique, classic and wonderful."